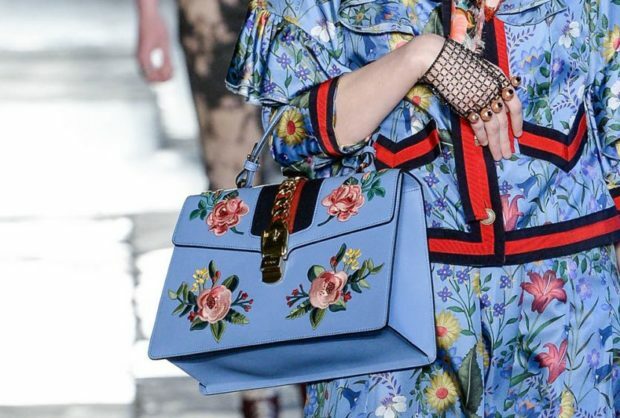 All thanks to Gucci’s creative director Alessandro Michele, the maximalist and retro sensibility is now back in fashion. Alessandro Michele – also defined as the creative director of Gucci’s brand image, and an appreciator of the visual – has remarkably altered the fashion landscape as he not only ignites the trend of frilled prints, zoo animals and embroidery on attire, but also the trend of the ‘logo-less’ look on shoes and handbags. His designs and accessories are all about expression and emotion rather than rationality and have resulted in two new trends emerging this season: patterned loafers and embroidered handbags. Below are some tips on how to rock them. Goodbye to booties, and hello to embellished loafers – the new street style hit. Designers are now using elements of fur, animal emblems, florals, and even cartoon characters on their open loafer to add some spark. 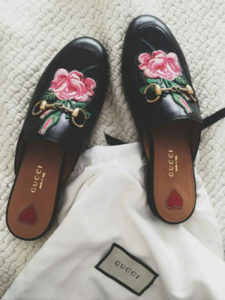 This means that the loafer – commonly defined as classy, elegant and fancy – can also be defined as hip, retro and stylish now with its embellishments. What makes them perfect is their versatility; you can pair them with almost anything (jeans, skirts, dresses and trousers) and wear them in all seasons! TIP: Don’t wear them with too much colour. The plainer the clothing, the more one’s eyes are drawn to your feet. Michele has also sparked the interest of the embroidered handbag. 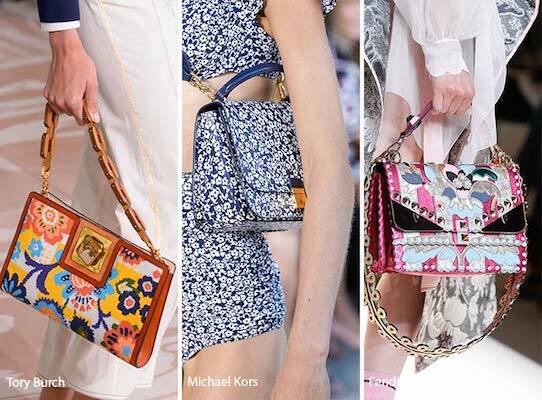 Whether it’s the snake handbag, the handbag featuring hippie prints (i.e., 3D flowers in a symmetrical pattern) or the Picasso-like handbag with stars, spaceships and bright colours, the embroidered bag is now in. Check out different brands like Tory Burch, Monique L’huiller, Celine, Lanvin, Oscar de la Renta, Michael Kors, Balenciaga – they are all embracing them. You can rock embroidery on a cross body, shoulder, or clutch bag – all three looks are fabulous and can really add to your personal style. So get out there and channel your 70’s retro look this season!